K. De Ball discovered asteroid #230 Athamantis. J. Palisa discovered asteroid #250 Bettina. M. Wolf discovered asteroids #490 Veritas, #491 Carina and #492 Gismonda. G. Neujmin discovered asteroid #762 Pulcova. J. Palisa discovered asteroid #902 Probitas. E. L. Johnson discovered asteroid #1607 Mavis. NASA and the USAF launched X-15A HT/BLN Test mission # 116 in which Milt Thompson reached a maximum speed of 5818 kph (Mach 5.35), and achieved a maximum altitude of 23.957 km. A. R. Klemola discovered asteroid #2131 Mayall. 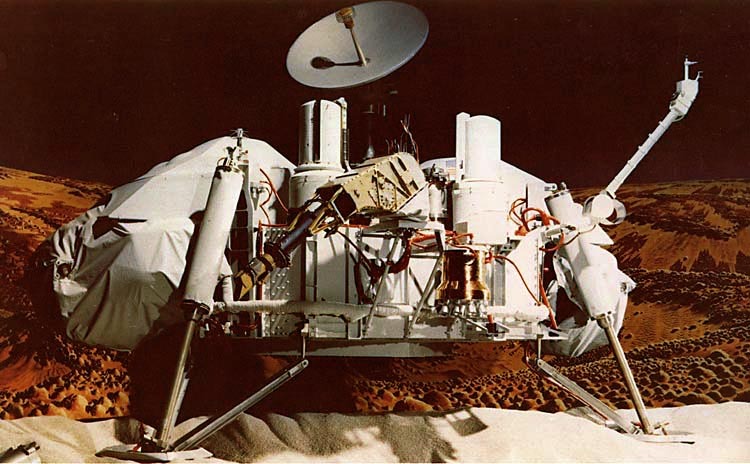 NASA's Viking 2 lander touched down on Mars. USSR Soyuz 29 landed with the crew of Bykovsky and Jaehn aboard, returning from the Salyut 6 space station. Purple Mountain Observatory discovered asteroid #3560. N. Chernykh discovered asteroid #3504; N. G. Thomas discovered asteroid #2527 Gregory. Japan launched Kiku 4, Engineering Test Satellite III (ETS-III), from the Osaki launch site, Tanegashima, to verify 3-axis attitude control, solar array paddle deployment, and active thermal control in a functional test of mission equipment in space. NASA's STS 51-I (Discovery 6, 20th Space Shuttle mission) ended after carrying ASC-1, AUSSAT-1, and SYNCOM IV-4 to orbit, and LEASAT-3 was repaired in orbit. China launched the Fengyun 1B (FY-1B) experimental weather satellite from Taiyuan on a Chang Zheng 4, which operated for over a year, and released the QQW 1 and 2 atmospheric balloons. During the 3h 56m Mir EO-12-1 EVA, Mir cosmonauts Solovyov and Avdeyev began installation of the VDU thruster pod on the Sofora tower. Russia launched Soyuz TM-22 from Baikonur to the Mir space station carrying the Mir Expedition EO-20 crew. During the 5h 20m ISS EO-9-4 EVA, Fincke and Padalka removed and jettisoned the Zarya PIG container with the RRZh1 flow regulator valve panel, and installed 3 antennas on Zvezda for European ATV logistics spacecraft rendezvous and docking operations. ESA's SMART1 Lunar probe impacted the Moon's surface, ending its scientifc and technology development missions.